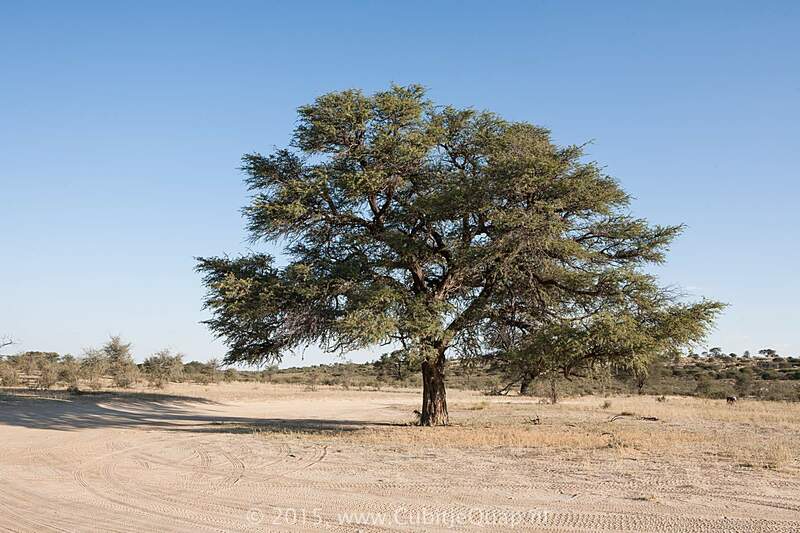 One of our favourite Camel Thorns in the Kgalagadi Park: the tree at the Cheleka waterhole loop. 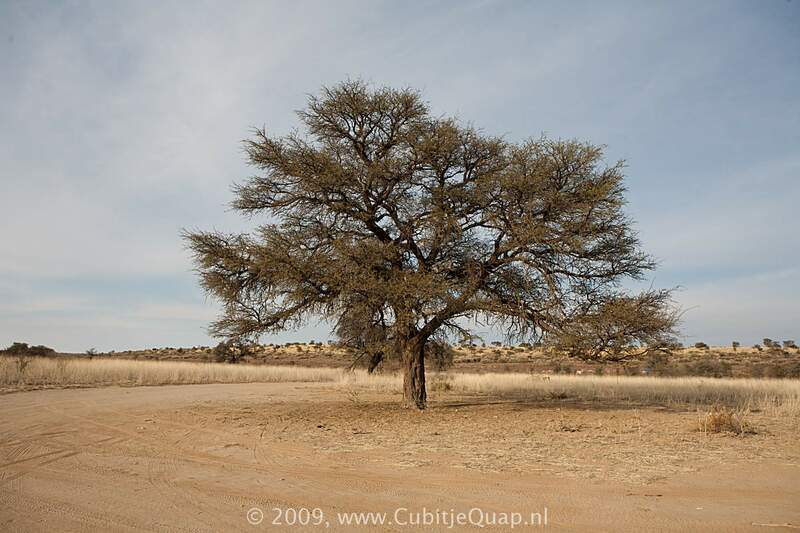 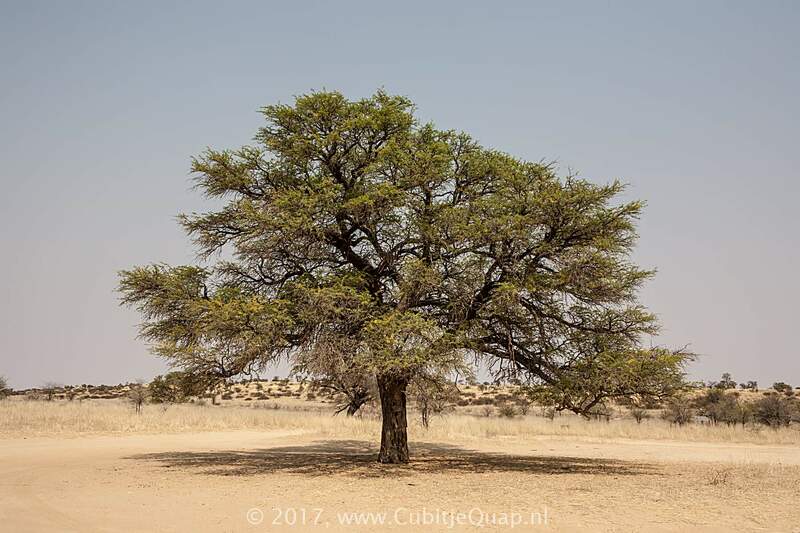 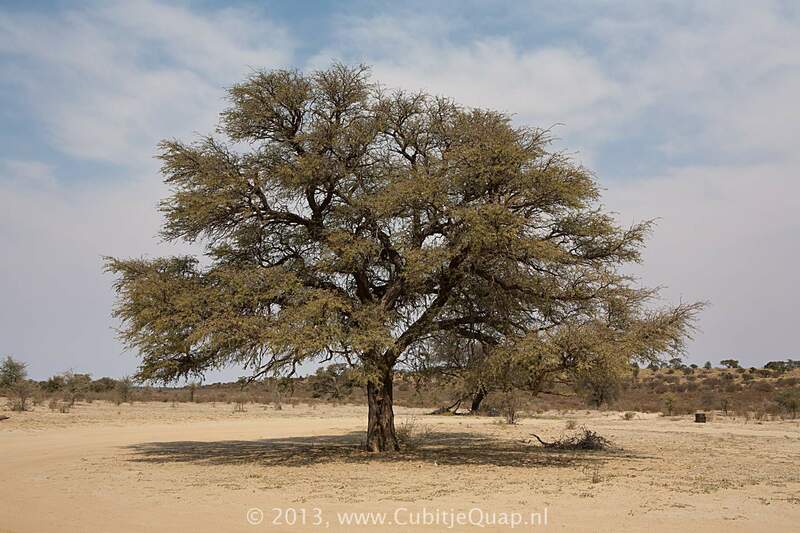 The Camel thorn (Acacia erioloba) is one of the remarkable trees in the southern African desert area. 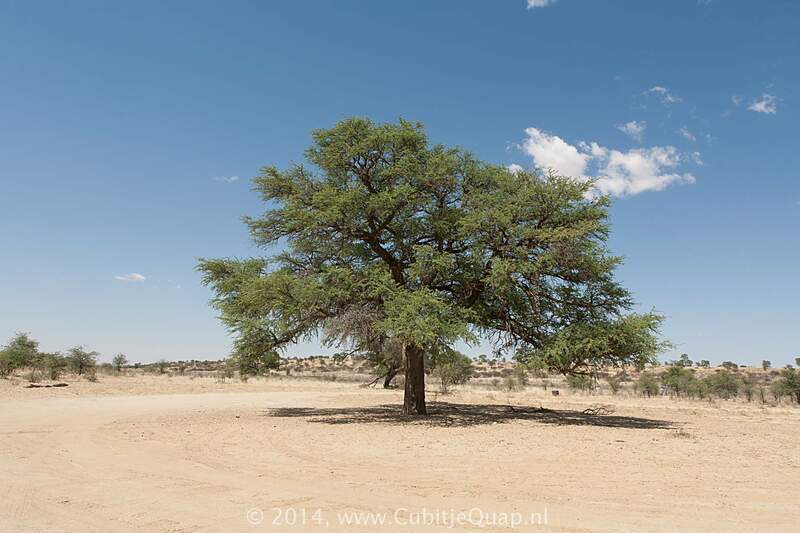 It can be up to about 250-300 years old and it can grow up till 20 meters high. 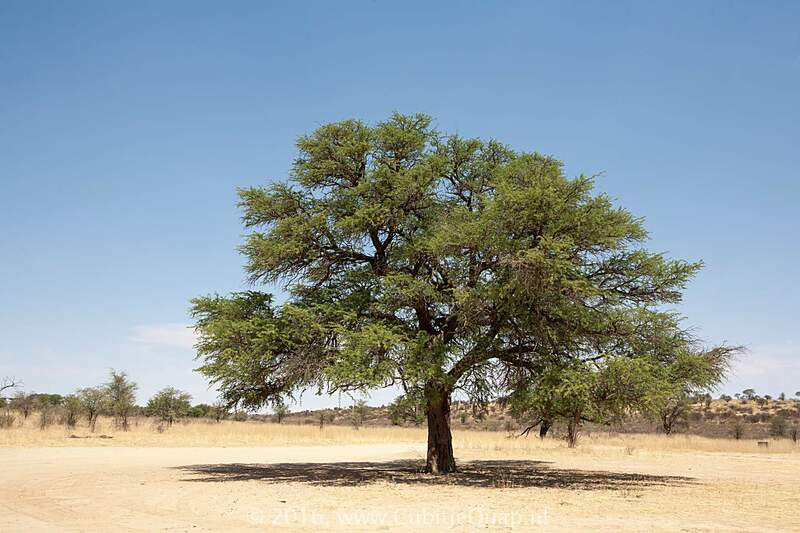 Its flowering season is July-September, with round yellow flowers. 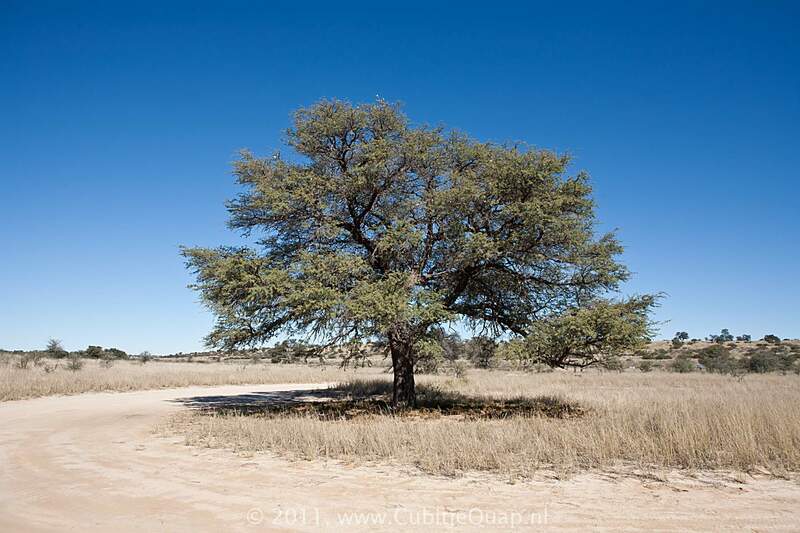 The thorns are normally in pairs and up to about 6cm long. 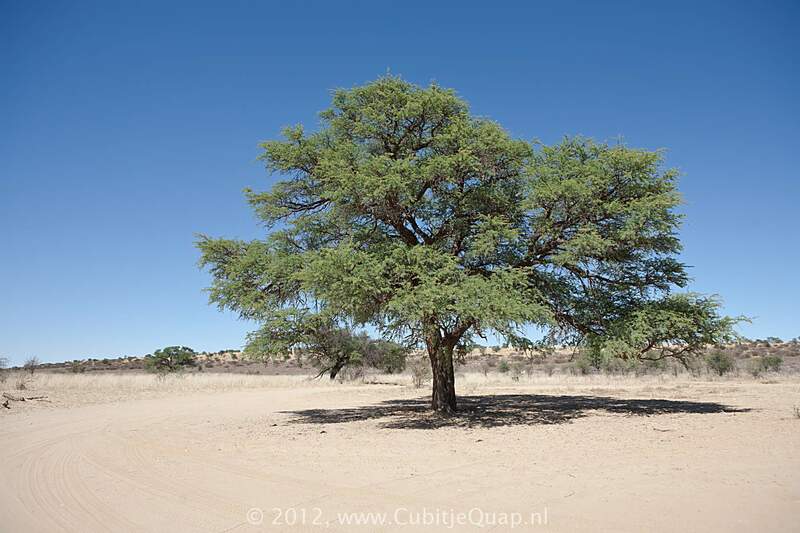 Not visible, but definitely there are the roots of the tree: they can obtain water from about 60 meters deep.